The Glo X Factor singing reality contest is getting exciting as the race for the record-breaking prize money of US$150,000 and a juicy recording contract is still on. “I really wanted to win and I’m sad to be going home. But it was a wonderful opportunity, and I can assure you that you’ll be hearing a lot from me. I’m going to miss the contestants and the judges, most especially my mummy, Onyeka.” Those were the words of tearful Anakara Boi, the latest evictee from the Glo X Factor singing reality contest. This week’s X Factor Result Show kicked off with the usual tense audience and nervous laughter. The audience knew that someone had to go home, but nobody wanted it to be any of their favourite contestants. The host of the show, Toolz, was ushered in with a thunderous applause from the crowd as she appeared on stage in a lovely, shiny, black ankle-length dress with a glittering silver belt to match. Onyeka, on her part, said, “I’ll like to talk about my children: Ankara Boi, Eshun, and Vicky; the level of artistry they have displayed has been mind-blowing. You can take them anywhere in the world and they will perform; they have impressed me immeasurably”. Just as the audience were itching to know the two contestants up for elimination, Toolz announced a pleasant surprise that Glo ambassador Waje would be performing, and the news was received with squeals of delight. The diva sashayed on stage in a black top and shimmering purple knee-length skirt as she took her place in front of the microphone. She rendered an inspirational song off her W.A.J.E. album, and the crowd floated away with her as she sang. Immediately after Waje’s performance, the seven contestants were called on stage, and in a show of solidarity, they all held hands nervously as they took their positions. Knowing that the tension in the studio was high and playing on it a little, Toolz lingered for a few moments before reading out the content of the card. She revealed that Ankara Boi and Symphony were the two contestants voted by Africa to face the judges for survival. “What? Ankara Boi? No way,” a member of the Dream Studio audience screamed. Symphony, who were up for elimination for the second time, took to the microphone first as they performed “I don’t wanna close my eyes.” It was evident the ‘boy group’ still wanted to remain in the house as they gave their all to the performance. After the performance, which was appreciated with a resounding applause, Toolz said to them, “You gave 120%”. “Yes, we want to stay!” the boys chorused, slightly out of breath. For his survival performance, Ankara Boi, ditched his gangster coat and came on stage barefoot to render “Gotham City” by R. Kelly. He invested all his strength and energy into the performance, and as his eyes misted over, it was apparent that he did not expect to be up for eviction. Midway into his performance, however, the very handsome contestant could not take it anymore as he broke down in tears.”I put in a lot of emotions,” he told Toolz as tears dropped down his cheeks. It was now left to MI to cast the deciding vote, and everybody was eager to hear what he would say. “I’ve not been a huge fan of Symphony. I’m a bigger fan of Ankara Boi, but tonight, I think Symphony was eager to go to the next stage. Ankara Boi came in looking defeated already. I think Ankara Boi is more talented, but because of their courage, I’ll go with Symphony boys.” With that verdict, Ankara Boi’s fate was sealed. He came back for his last performance in a stunning white tuxedo that had the females preening for him, with many standing up to applaud him. Other contestants came back on stage to join him as he poured his heart out. They turned to impromptu back-up singers to assist their colleague when his voice was too shaky to project out of the microphone. 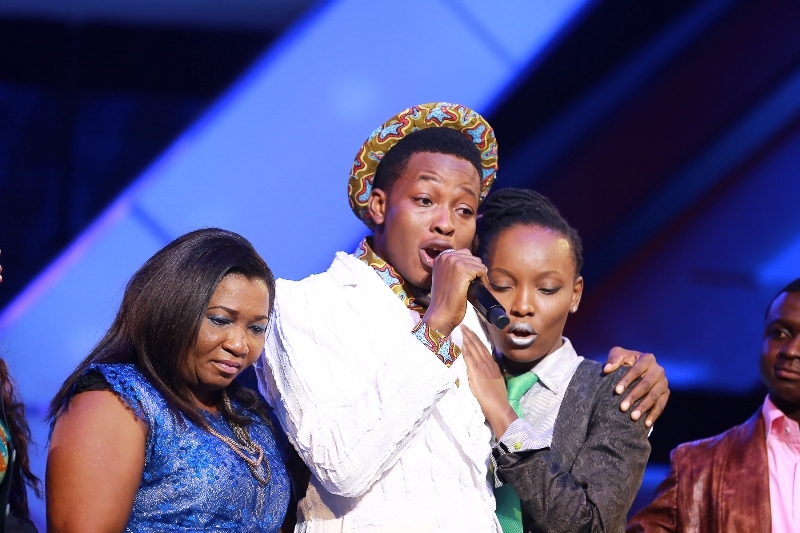 Ankara Boi also paid tribute to Glo for giving him and others the opportunity to participate in X Factor. “It has been a great platform and I am particularly grateful to Glo for making this possible,” he added. 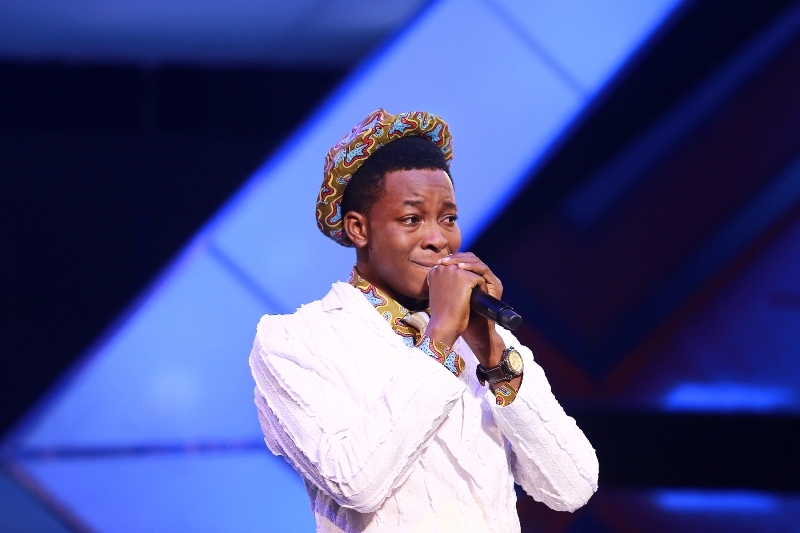 #GLOXFACTOR: Ankara Boi evicted from Glo X Factor 0 out of 5 based on 0 ratings. 0 user reviews.